Wahl Kampf Ritual - Macht und Ritual. 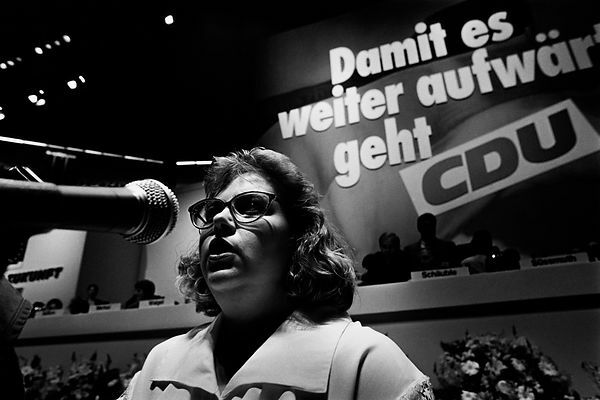 Bundestagswahlkampf 1994, CDU Kundgebung in der Dortmunder Westfalenhalle, Angela Merkel haelt Rede. 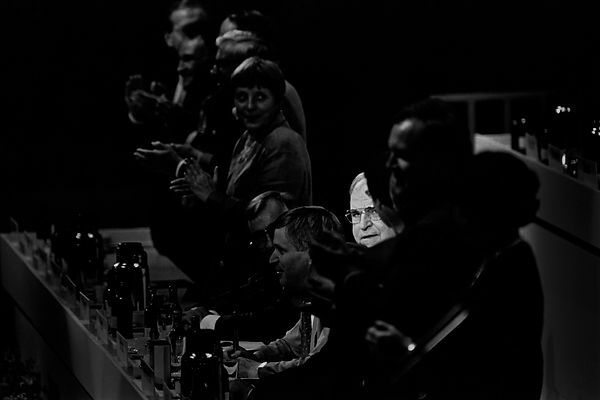 Europa, Deutschland, Dortmund, 28.8.1994. | Power and Ritual - Rituals of Election Campaigns. 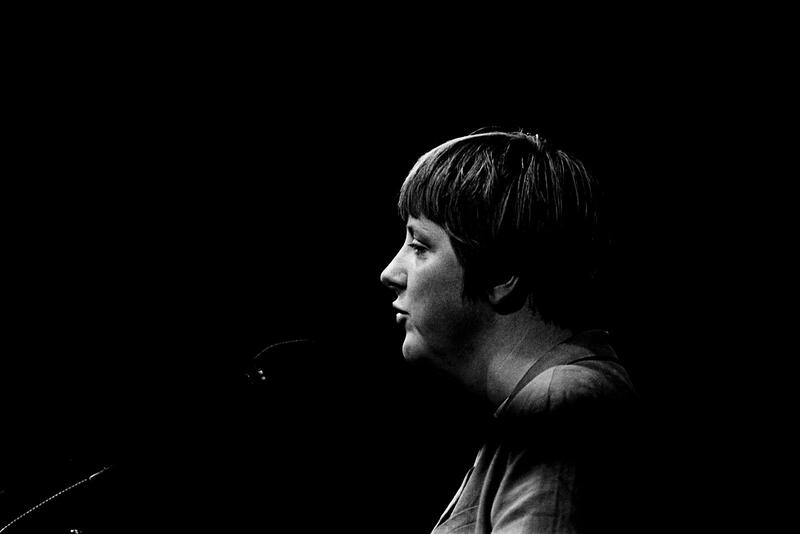 Minister Angela Merkel in a speech during the election campaign in Dortmund, Germany 1994. About eleven years later she will be chancellor. Gelatin silver print, 24x30cm, white border incl, sig., st., 1994. Fine Art print, 40x60cm, mounted on cardboard, sig., st., 2011.